A British activist group replaced famous film posters with redesigns featuring solely black actors to draw attention to what they claim is a lack of racial diversity in the film industry. 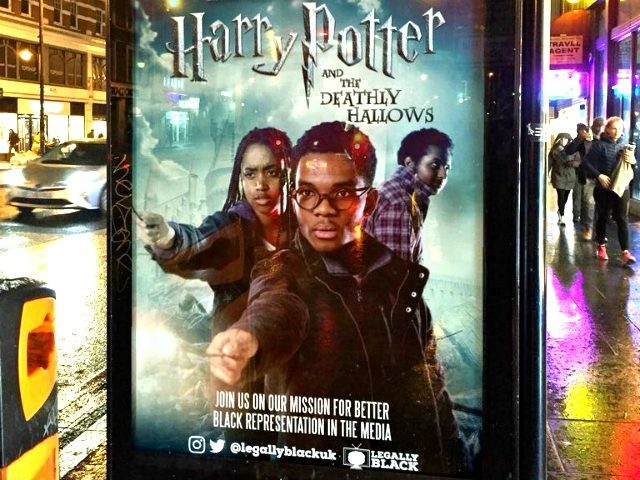 The group, which goes by the name “Legally Black,” redesigned posters for major films and television shows such as Doctor Who, Titanic, Skins, The Inbetweeners, and Harry Potter, and placed them in bus stops across the London borough of Brixton. The project is said to be in conjunction with Special Patrol Group, an organization that specializes in “subvertising,” which involves using advertising space for artistic purposes. “If you are surprised it means you don’t see enough black people in major roles,” the group said. Racial diversity in filmmaking has become a major issue for activist groups in recent years. Most recently, the release of the all-black Marvel film Black Panther has been lauded as a step forward for black representation in cinema.